Established in 1993, Endries Express hauls refrigerated, dry or frozen product. 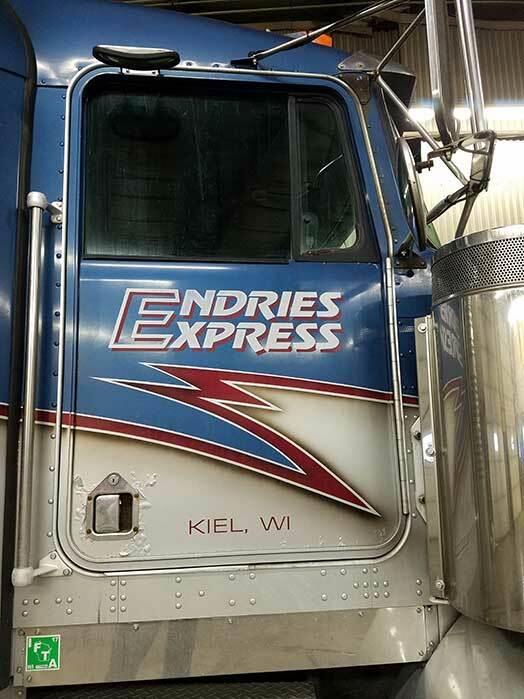 Based out of Kiel, Wisconsin, Endries Express specializes in long haul transportation around the 48 states (excluding CA). You can count on reliable pick ups and on-time deliveries! Endries Express employs experienced, friendly, professional drivers with many years of driving experience. A couple drivers have been driving for them for over 10 years! Along with offering competitive rates, Endries Express strives to develop long lasting partnerships/friendships with their customers – working together so both can be successful. Customer and driver assistance is available 24 hours a day, 7 days a week for both our drivers and customers.